Elon Musk by Ashlee Vance could be considered the Elon Musk biography. It’s easy to read and gives a good glimpse into the mind and personal traits of Elon Musk. Elon Musk parents separated when he decided to live with his father despite having a difficult relationship with him. On top of a difficult atmosphere at home, Musk was also nearly friendless and constantly bullied. One time a bunch of bullies beat him up so hard he missed school for a week. Musk retreated from the world through reading and study. 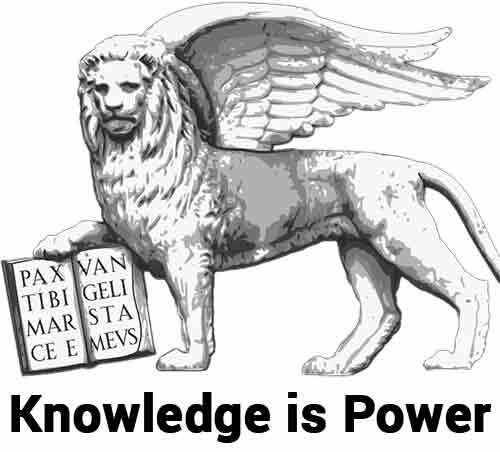 And he was good at it (read how to absorb knowledge). Ashlee Vance says Musk has in incredible photographic memory. He particularly loved the book The Hitchhiker’s Guide to the Galaxy. and soon began planning ways to improve our civilization. He thought of conquering other planets (of course), solar power and paperless banks for example. Musk recovered confidence in college, that he attended in Canada because he didn’t want to serve military service in South Africa. He studied business, attended public speaking courses and successfully courted his first wive Justin Wilson. She wasn’t particularly fond of him, but he kept insisting. Ashlee Vance says that when he was stood up at an ice cream parlor on their first date, he found out what her favorite ice cream was and showed up with two of them. Musk would organize house parties and charge a 5 dollars entrance fee. In 1995 Musk launched with his brother Zip2 to help businesses go online for the first time. They weren’t sell much, but things changed when Mohr Davidow Ventures invested in the company after being impressed by Musk’s drive. In 1999 Compaq paid $307 millions for Zip2, but of course Musk wasn’t going to stay and work for Compaq. With the new cash Musk bought a supercar, a condo and a jet. And all the rest he put into X.com. The company was doing well but instead of going head to head with their main competitor, they decided to join forces with Musk as CEO. Things weren’t going well after the merger, and when Musk left for his overdue honeymoon, the board staged a coup. They went to Peter Thiel -author of Zero to One– and asked him to replace Musk. Thiel accepted and X.com changed name into Paypal. It didn’t go well for Musk though, Paypal sold to Ebay for $1.5 billion and netted Musk $250 million. 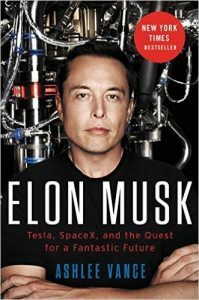 The Elon Musk biography says that he was into space exploration and wasted little time to get into it. His planning for the first rocket were wildly optimistic. He planned the first launch after 15 months of launching SpaceX. It took 4 years, but they did make it. Elon Musk wants to save humanity. Musk thinks the earth is not enough. The resources won’t last for ever and living on a single planet makes us vulnerable to a host of potentially race-threatening events. Ashlee Vance says this is a concern which never leaves Elon Musk’s mind and it give him unwavering drive and determination. Musk didn’t actually found Tesla. He invested in the already existing company $6.5 million and became the sole shareholder and chairman. The Elon Muk biography says he funded his two cousins with SolarCity becoming the biggest shareholder of the company. SolarCity today is the biggest solar panels company in the US. Musks’ businesses complement each other. This is because he doesn’t think of businesses as silos, but looks at them through the prism of his goal: ensuring that humans will have a future. In the words of Simon Sinek, Elon Musk has a big, overarching WHY (read Start With WHY). Albeit it might seem hard to believe by looking at him, Elon Musk, similar to Steve Jobs, also verbally abuse employees who fall short of his high demands (read: what to do when a boss yells at you). His ex wife says that Musk told her he “would fire her if she was one of his employees”. As a guy who write on people’s skills, it’s one of the most stupid things a man could tell a partner. The wife also says that he wanted her to dye her hair blonde and expected her to be a trophy wife, a role in which she wasn’t comfortable. Some people say Elon Musk can be mean and some even say he lacks empathy, citing his dismissal of his long term secreatary as a proof. But other people close to him says he’s a loving and caring person. My guess looking at his interview is that he is indeed a good person. Much better than Steve Jobs :). if you have a strong goal, the personal relationships that trump that goal should be that many. Otherwise, you’re a guy shooting the breeze at the bar. As Ray Dalio says, the solution is to do what you need to do with compassion. At times you wished this Elon Musk biography would go a bit deeper. As interested in human relations I am, I wanted something more about Musk’s relationships. Or sometimes I was curious how he secured a billion from NASA (without which SpaceX might be a bankrupt company). Vance does a great job with this Elon Musk book. Easy and entertaining, it also sheds a light on the qualities and traits you need to become a successful entrepreneur.